Applecheeks stay dry inserts work great in their envelope covers! 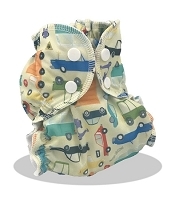 These inserts are an innovative approach to our hybrid diapering system. 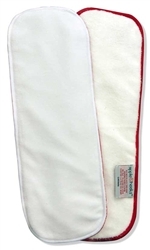 The insert has a white side (stay-dry microFLEECE side) and a white with red stitching and label side (absorbent microTERRY side). When placed ON the cover for the cover+insert method, the white side faces UP. When placed IN the cover for the pocket mention, the red stitching side faces UP. 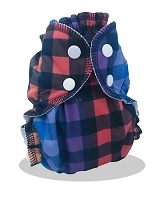 As well, the label on the microterry side clearly indicates that this side is NOT to go against baby's skin. Recommended for daytime use or night time use with a doubler.